Tria is a practical, timeless system, hardwearing and with clear lines. It provides each user and space with a bespoke composition, with high quality finishes in wooden shelves and contemporary finishes in metal shelves. 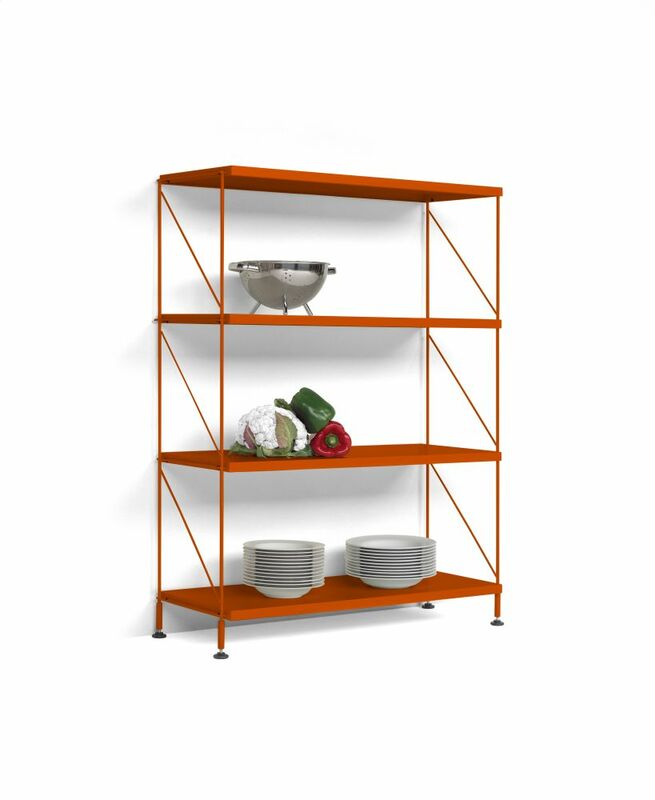 The Tria storage system means the different shelves can be adapted to the height of each volume, making it ideal for organising and storing books while making the most of the available space. It's a complete shelving system that gives books, a source of wisdom, experience and stories, the space and prominence they deserve. JM Massana, Barcelona, 1947. JM Tremoleda, Barcelona, 1946. Pioneers of industrial design in Barcelona, both graduated from Escola Massana as part of its first ever intake of industrial design students, in 1969. In 1968 JM Massana and JM Tremoleda, together with Jordi Domènech and Francesc Miravitlles, created “Equip de Disseny”. In 1973, together with Mariano Ferrer, they founded Mobles 114, a furniture store and interior design studio where they don't only create the store's designs but also promote the work by other designers such as Carles Riart, at a time when social and cultural changes were taking place in which design would play a vital role. As a result of its commitment to the aesthetic values of modernity and the promotion of design, Mobles 114 has become one of the country's leading promoters of furniture, publishing a catalogue of coherent contemporary furniture that emphasises humanistic values as an integral part of its identity. Beyond their indisputable work as promoters at Mobles 114, Massana – Tremoleda also design many of the items of furniture in the collection. Their work stands out for the importance given to the object's functionality and for their refusal to adhere to purely formalist aspects. Honesty becomes essential and aesthetics the outcome. Many of their designs still form part of the Mobles 114 catalogue thanks to their timeless quality and continuation on the market; they are items of furniture that, far from being passing fads, are still up-to-date and relevant. The work of Massana –Tremoleda as promoters and entrepreneurs for the Mobles 114 brand was recognised by the jury for the 2001 National Award "for the perseverance and coherence demonstrated over the years, reflected in the quality of their products". Mobles 114 editions specialises in producing contemporary furniture and fittings and is based in Barcelona. The m114 brand, founded in 1973, is committed to improving the quality of public places and homes with unique, timeless designs.